To create a luxurious experience for shoppers, facilities have been upgraded with the customer in mind. 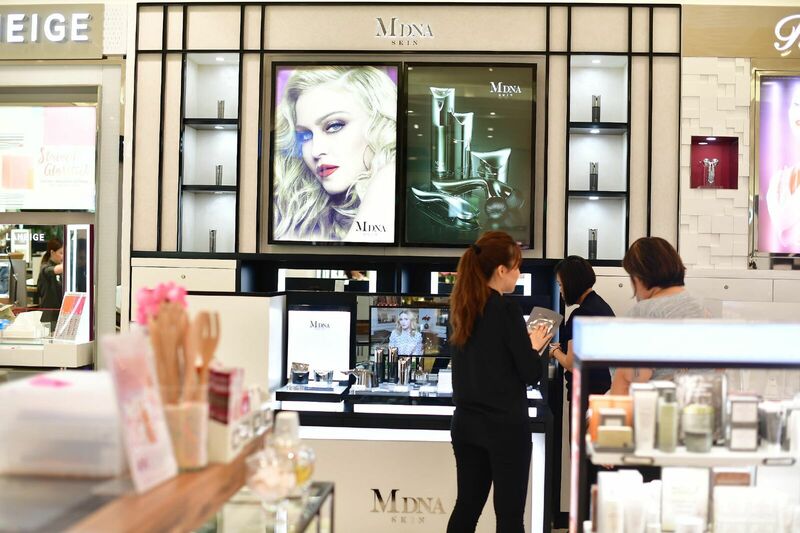 This includes – creating a wider walkway and beauty counters which add a luxurious touch, clearer view and also streamlined pillars to enhance visibility, space and comfort for shoppers giving it an ultra sleek look. 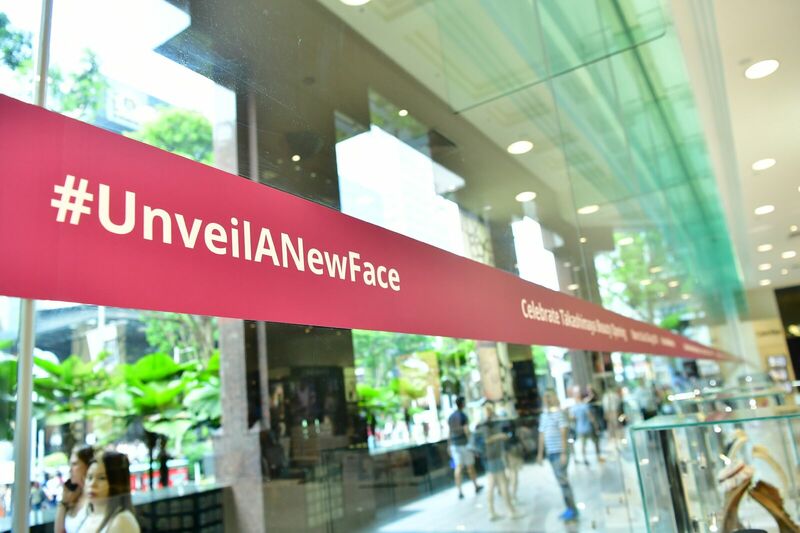 To celebrate the new Makeup launch, Takashimaya Singapore have exciting perks in store from now to Sun 2 Sep 2018 at Cosmetics Department, Level 1. A luxury beauty brand from New York City – A luxury, animal-cruelty free company that is committed to nature and environmental conservation. Angelina Jolie, Kristen Stewart are fans of the brand. Seoulista resembles dynamic Seoul. Be enthralled by Korean-beauty, the world now sees Korean cosmetics leading brand, HERA and Seoulista growing into a iconic beauty brand representing Asian women. Created alongside the pop queen, Madonna, the MDNA SKIN skincare line harnesses the power of mineral rich thermal waters and volcanic clay from Montecatini to achieve the golden balance for radiant and lifted skin. 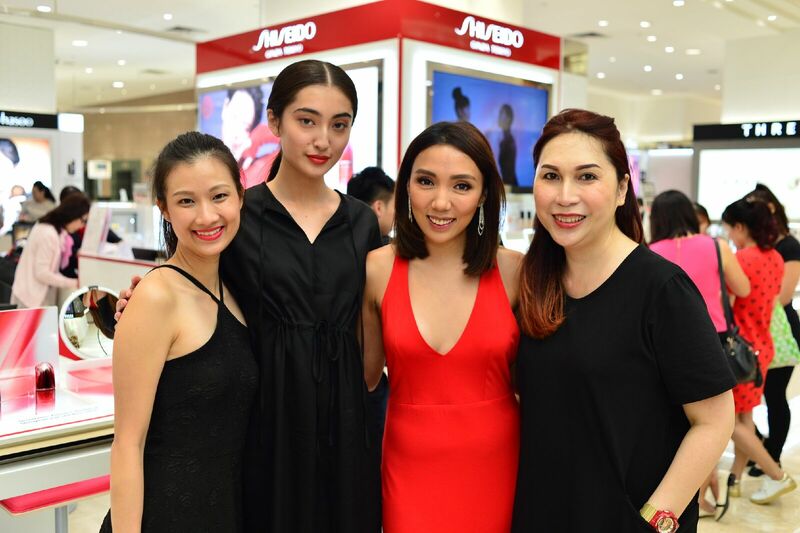 Media personality Jade Seah hosts the press, bloggers vip makeup artist together with Celebrity makeup artist Ginger Lynette. With all these new counters in Takashimaya, Hera flew their top makeup artist Seh young from Korea to introduce Black Cushion & Rouge Holic lipsticks. 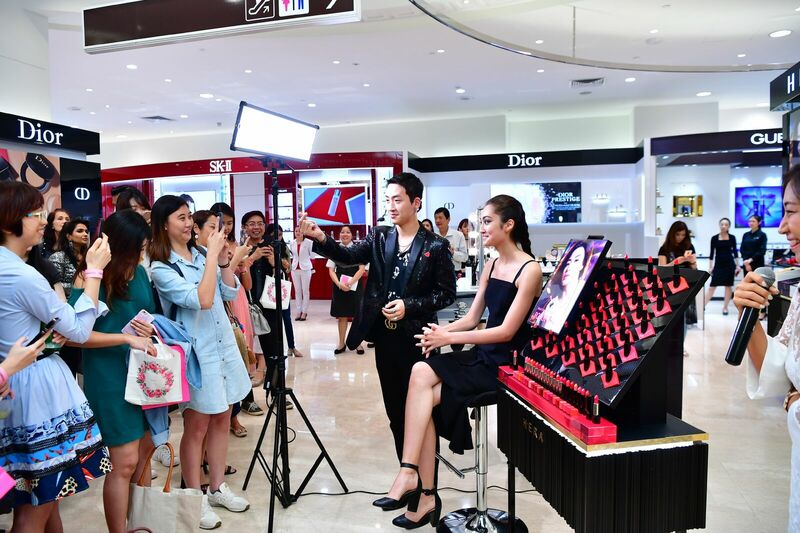 Celebrity makeup artist Ginger Lynette came up with ideas how to create your own SEOULISTA look using all these products, namely the Black Cushion, Rouge Holic lipsticks with matte and creame texture. At Fresh,Ginger taught the crowd about the wonders of Binge masking with prepping the skin using Vitamin nectar mask as prepping followed by Rose Face Mask for enhance. And the black tea overnight masks for overnight. 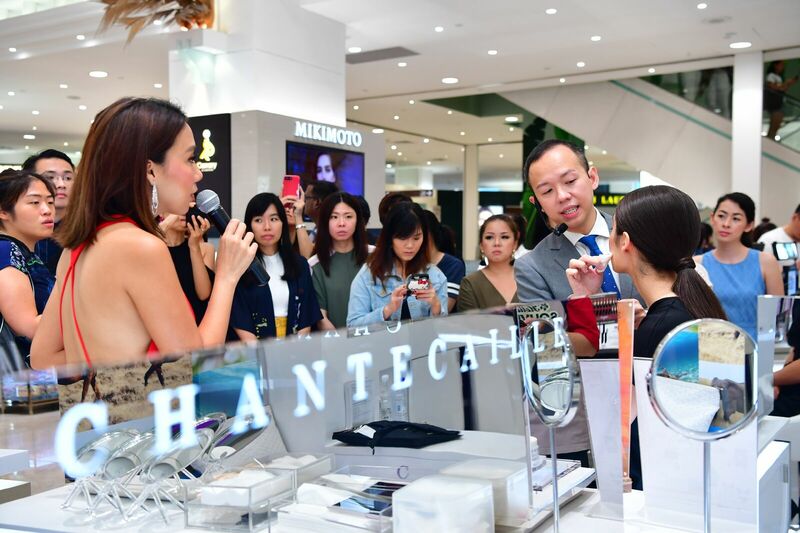 Celebrity Mediacorp Class 95 DJ Jean Danker hosts the public as Celebrity makeup artist Peter Khor came up with new looks of makeup and skincare with his beauty tips. 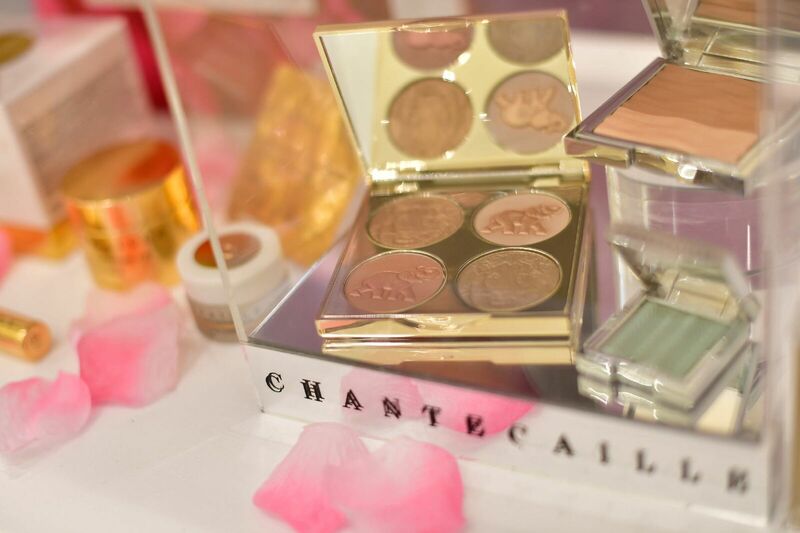 For Chantaceille, Peter focussed on using summer collection limited edition of green eye shadow and red eye shadow and Sirena bronzer which is their key product and foundation. 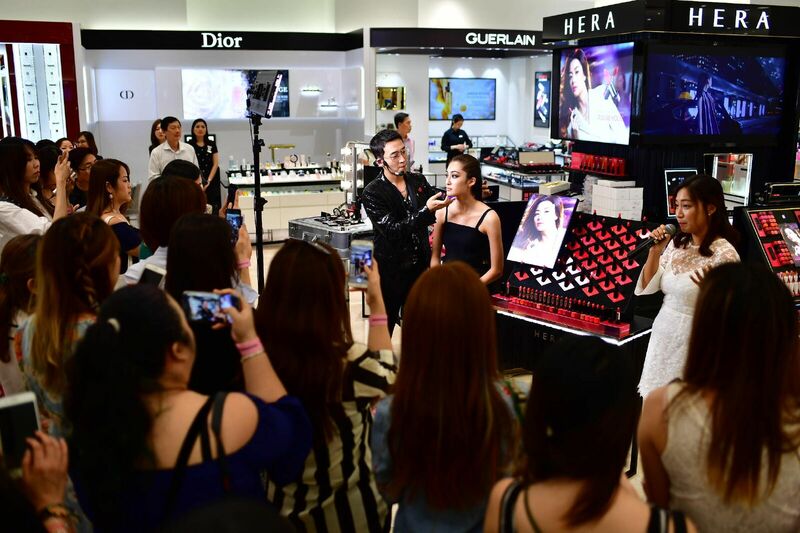 Global makeup artist Harvey Tsao flew in from Hong Kong and demonstrated using the gold recovery mask infused with 24K gold and with the roller for anti ageing effects. Previous articleBMW Asia presents first edition of Z4 and i8 Roadster at Singapore.